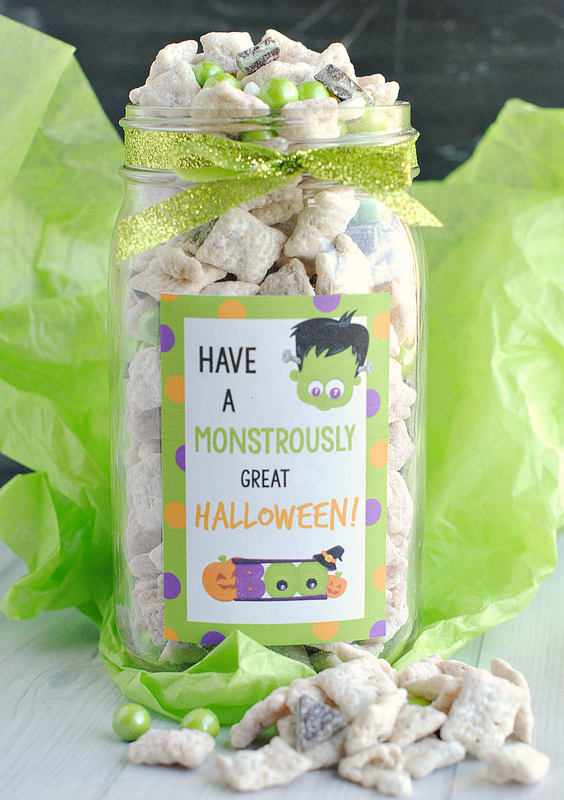 A Peek at the Fun: Looking for a cute Halloween gift for a friend? Bring her a drink (pick her favorite) in a cute cup and throw this simple tag on it. When life gets busy (ok-let’s be honest, when is it not busy? ), sometimes you need those happy little things that carry you through the day. It might be a quick cat nap, it might be sneaking chocolate or it might be Diet Coke. We’ve all got our thing right? 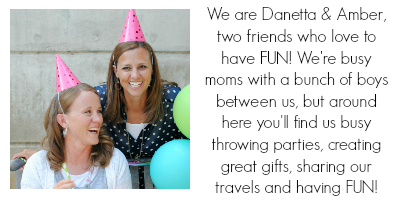 Danetta is the Diet Coke lover, Amber’s more of a hot chocolate fan, but we definitely know about busy lives! 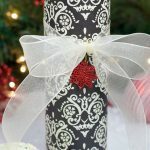 We also know that a quick and simple gift from a friend can be a great pick me up to your day. 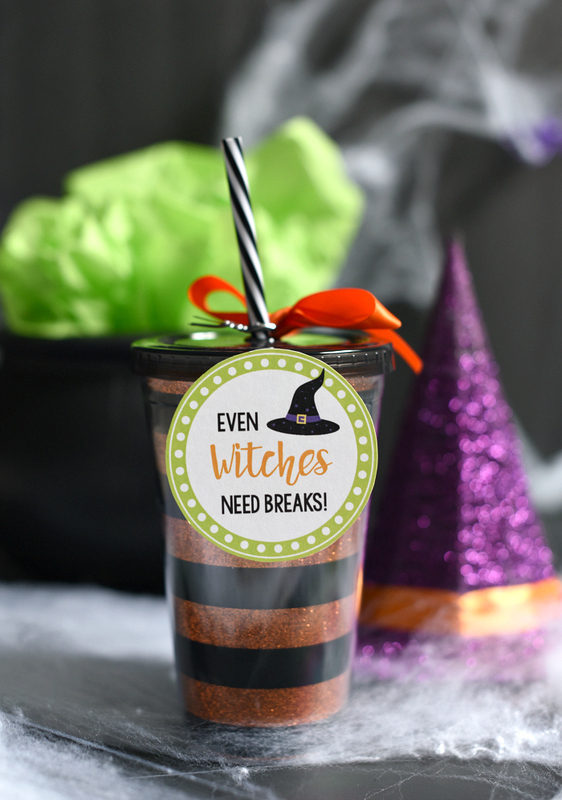 Especially if that gift is a cute cup filled with her favorite drink with a cute Halloween gift tag. You can fill that cup with whatever she loves and deliver it to her door. 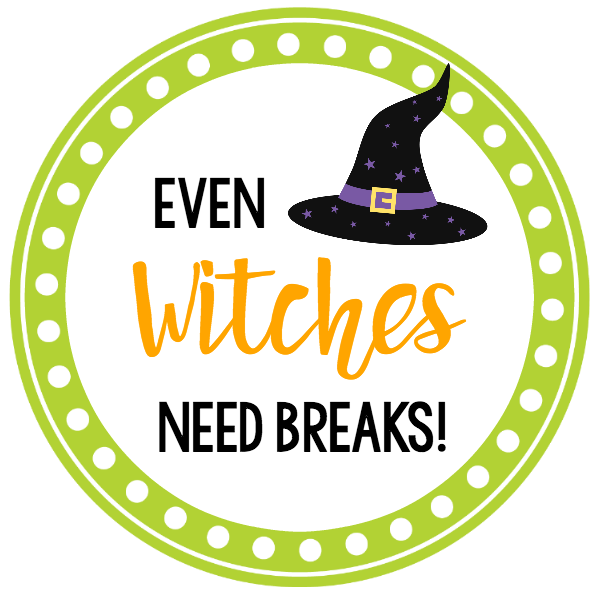 We added a cute Halloween tag because we all know that even witches (and moms and busy working women and grandmas and all women) need breaks! 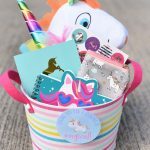 We got our cup at Michael’s (and we love it because…glitter! ), but any cute cup will do. 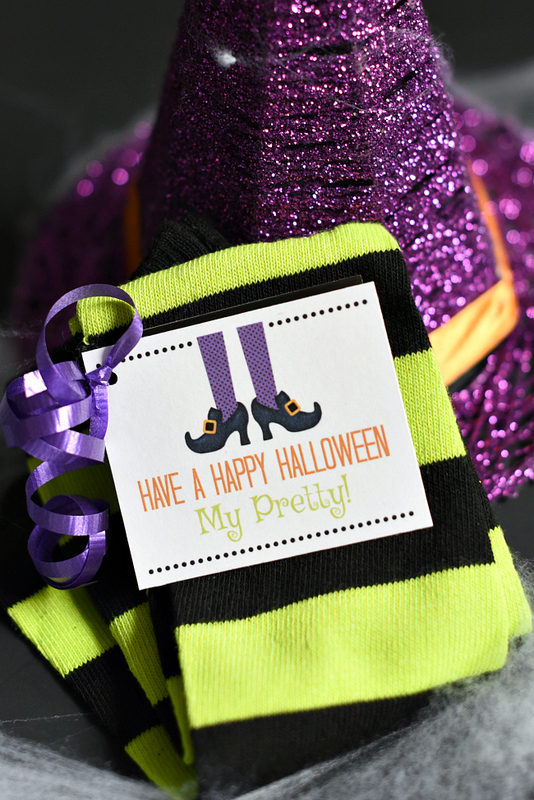 All you need is this cute tag and you’re all set! You can right click and save this tag to your computer, open in a program like Word or Pages then size how you want and print. 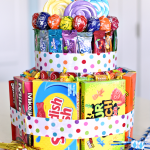 We don’t feel like you need too much of an excuse to surprise a friend with a fun gift and Halloween is as good of an excuse as any right? 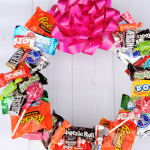 Have FUN giving gifts this Halloween!